Tonight the scene from where I sit on the porch of the church that I grew up in is much different from what it was 24 hours ago. The streets are now quiet and the shops are all closed and the sound of locusts in the trees is all that you hear. Last night it was different. Last night it was as if the celebrations at the temples and in the streets of Ancient Egypt came to life right here on my brick street in the middle of Indiana. 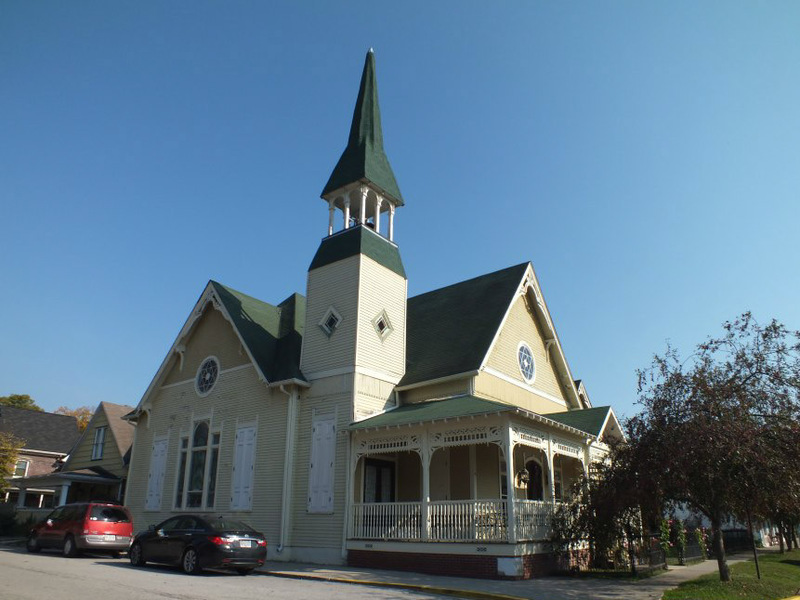 The street in front of the big white church, which was most recently an art gallery and whose cornerstone reads 1894 and the penny on the front steps is dated 1990, was filled with music and drinking and dancing. The stage for the band was set in front of the church for a group called The Polka Boys who played an eclectic array of songs ranging from the soundtrack of the Jungle Book to You Can Have Her, I Don’t Want Her, She’s Too Fat For Me to Neil Diamond and the Beach Boys all with a bit of a polka twang. To top it all off, the lead singer and speaker for the band between songs had an unmistakable Irish accent and there was an older 80's-ish gentleman in the crowd wearing lederhosen who was really into the dancing! True story. You sometimes just cannot make this stuff up. I had worked that entire day at psychic fair and gave 16 readings, which generally makes me need to ground as soon as I can get home since I get pretty far out there and begin to feel like I am crawling out of my skin, being in an altered state for that long. 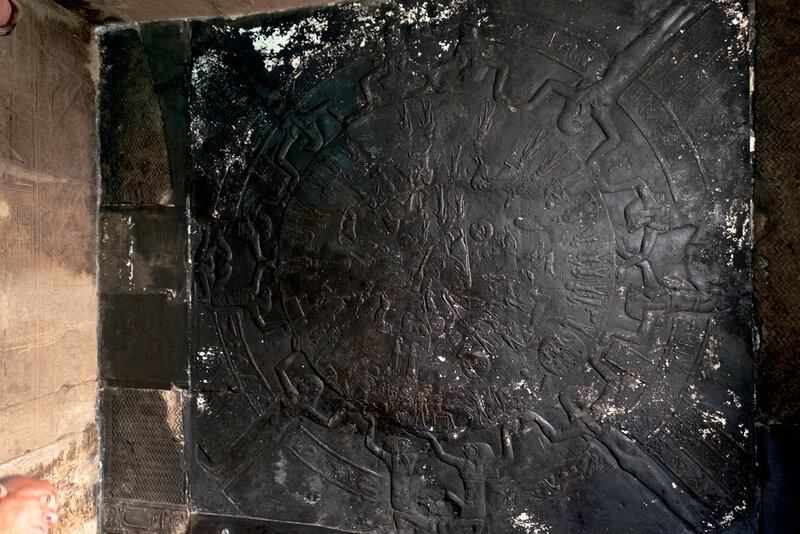 My plan was to come home, cook and continue to work with Hathor and her temple ceiling in Dendera which shows the entire zodiac to prepare for my upcoming WOMEN OF SPIRIT RETREAT. The ceiling is quite the famous landmark … removed from the temple and placed in the British Museum. A replica now takes its place in the temple in Egypt. For the past few years I have been drawn to this ceiling and the meaning of music as it pertains to the zodiac and the planets. I went to New Orleans and recorded an entire CD of songs based on this ceiling which I am trying to finish getting mastered so I can get it out into the world. Each song was played intuitively, the only note written was the note that corresponded to that sign and planet. If you’ve ever read any of my blog from the past before you not only know of my intense connection to Egypt but also direct connections I have had with the goddess Hathor and Nuit in regard to music. Nuit led me to the numerology of composing music and she has a lovely chapel within the Temple of Hathor in Dendera. Lately I have been led by Hathor to more knowledge about the connections between music and sound and tones and notes and healing within the temples. My topic at the upcoming Women of Spirit retreat is based on all of this new information coming in and being gathered up and I feel so very very blessed and led by her each and every day. The last time I was in Egypt we visited the Library in Alexandria, and oh, what an amazing place! I was thrilled to learn that you can access some of the books there digitally and so I was looking up something about sistrum playing in the temples in addition to anything on Dendera and came across a lecture about sistra and the zodiac ceiling in Dendera. You can’t imagine my excitement to find the exact topic….and my amazement that it had just taken place about a week ago! Not that I was still in Egypt or would have been able to travel over for just that right now but still, the timing was surreal. I now wait to hear from the man who gave the lecture….we’ll see what happens next! In ancient times the people celebrated their gods and goddesses quite frequently with dances and feasts and festivals. They were held in the entire town and there were special ceremonies at the temples which often times followed a parade. This past weekend the date of the Street Dance coincided by just a few days with a special feast day of Hathor, the goddess of love, fertility, music, healing, celebrations, dancing and drunkenness. Sometimes I am more aware of things that are unseen as I move through my day than of things that are right in front of my face and this was the case with the street dance on the street I live on! I had no idea it was planned! Coming into town on my way home I wasn’t sure what was happening, the street was closed and it looked like it was a festival. As I got closer to home, I realized that I was not going to be able to park at my house! I also realized that my plans were now changed and that I needed to go to the festival and check it out…be a part of the excitement and ground my Self while being a part of the crowd and the music. It seemed important. I parked at a nearby park, walked home to drop my things off, then walked up and down the street a few times trying to find something to eat. Even as I walked I was finding the significance in this moment and was trying to decide on what to get to drink. Beer is sacred to the goddess and this was obviously a Hathorian celebration in disguise but I decided not to get anything alcoholic as I was going to be reading the next day again. I made my way back toward the stage and then up to the porch of the church to watch and soak it all in. Everyone was in the street dancing, drinking, laughing and having a great time and it was so wonderful to watch them dance, to see how they just let go and had fun. Suddenly I realized that sitting on the porch was not what I needed to be doing and so I pushed my Self to go out there on the street, in front of the church where I grew up not being allowed to dance and was married in the first time.... and dance! I pushed my Self to get out of my comfort zone and not only to listen to the music but to dance with my Self in a crowd of strangers and look up at the church and feel…..really feel this entire moment and its surreality….to feel the drumbeat of ancient Egypt in front of the temple…to feel the excitement. I ended up doing the Chicken Dance with strangers and popping into a selfie by someone I didn’t know. And now, the night after the party, I’m going to walk home from this modern day temple, barefoot on the brick street, listening to the sounds of locusts and crickets. Last night, I celebrated with Hathor on the brick street in front of the church I grew up in and Time felt seamless and folded in half….and all was well with the magic of the world.